Just this week, leftist leaders in Peru have begun to band together in a movement to impeach sitting president Pedro Pablo Kuczynski on grounds of a ‘moral incapacity’ to lead the country, in part due to his alleged ties to Odebrecht. This effort to oust Kuczynski, better known by the nickname ‘PPK’, comes just a few months after his highly controversial decision to pardon former dictator Alberto Fujimori. 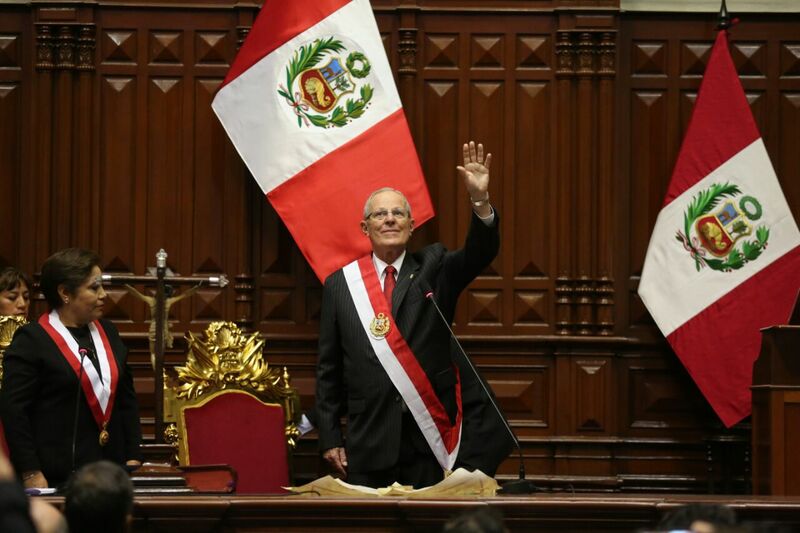 At least 30 of the necessary 52 members of the Peruvian Congress have already signed the request needed for the vacancy motion and eventual impeachment process to begin (Markets Insider). Kuczynski has pledged to testify on March 16 regarding his links with Odebrecht, the notoriously corrupt Brazilian construction corporation. This is far from PPK’s first threat of impeachment. The most recent came in December when an opposing coalition joined to topple the president on similar charges after an investigation revealed that officials from Odebrecht had made at least $782,000 in payments to his private consulting firm years earlier (The Washington Post). However, Kuczynski narrowly dodged impeachment after members of an opposition party—led by the daughter and son of imprisoned former president Alberto Fujimori—abstained from the vote. This abstention came to many as a surprise, especially considering that Keiko Fujimori, leader of the opposition Fuerza Popular party and daughter of the ex-dictator, ran against Kuczynski in a bid for the presidency in 2016 only to narrowly lose the vote. The Fuerza Popular party, however, maintains a strong majority in Peru’s Congress. Just a few days after this vote, on Christmas Eve, PPK pardoned the former dictator, allowing an early release from his 25-year prison sentence on humanitarian grounds. This conveniently-timed pardon has sparked reasonable suspicion of collusion between Kuczynski’s party and the Fujimori family. PPK, however, has denied any collusion between the two parties, instead claiming that he had a moral obligation to release the 79-year-old former dictator from prison, where his health is said to have deteriorated substantially in recent years (BBC News). The president has publicly justified the pardon, claiming that it would be immoral for him, as a democrat, to allow Fujimori to die in prison. This decision has been met with widespread criticism and protest, with thousands taking to the streets in December and January to demand that the pardon be reversed and that Kuczynski step down (BBC News). The former dictator is an especially divisive figure in Peru, with many maintaining their support for him despite his extensive record of human rights abuses. Fujimori was the acting president of Peru from 1990 to 2000, a time during which he dissolved the Congress and took executive action to crack down on left-wing guerrilla groups and activists who opposed his government. An estimated 69,000 people were killed or disappeared during this period of conflict between the government and these leftist forces (BBC News). As Fujimori faced impeachment for corruption charges in 2000, he fled to Japan, from where he famously resigned the presidency via fax. In 2007 he was sentenced to 6 years in prison for bribery and wiretapping, and an additional 25 years for the human rights abuses that occurred under his directive (CBC News). Although the 79-year-old has been awarded his release 14 years early, he now faces trial and potential re-imprisonment over new charges for the tortures and killings of 6 farmers by the elite Colinas police force under his direction in 1992. The charges for these killings, known as the ‘Patavilca Massacre’, are quite similar to those that he was serving time for; however, courts in Lima say that Kuczynski’s recent humanitarian pardon does not legally apply to this new case, allowing prosecutors to finally seek justice for the victims. The covert Colinas force, which operated from 1990 to 1994, was created by Fujimori for the purpose of cracking down on left-wing insurgent groups that opposed the government. However, the Colinas notoriously followed the dictator’s orders to find and kill groups of people—mostly poor and indigenous—who posed little to no real threat to their communities or to the regime. Though his daughter Keiko has said that she is confident that Fujimori will be acquitted, there is a very real possibility that he will be forced to return to prison over these new charges regardless of his poor health and his recent pardon. This would put Kuczynski in a trying position as he is caught between maintaining his political relationship with the Fujimori family and upholding his own image. KKP’s approval rating has steadily declined in recent months, in part due to this controversial pardon. According to a recent poll by the newspaper La Republica, popularity for the leader has fallen to 17 percent, with a majority of respondents viewing him and his party as corrupt and untrustworthy (Peru Reports). Meanwhile, leftist opposition parties—the exact parties that are joining together now to oust the president—are enjoying an approval rating of nearly 60 percent. This high public support for these opposition parties may play in their favor as the Peruvian Congress votes on whether to continue pursuing the impeachment process in the coming weeks. RTTNews. (2018 Mar 8). "PERU: Opposition Submits New Request To Oust Kuczynski". Business Insider. Retrieved Saturday, March 10, 2018. Associated Press. (2018 Mar 8). "Lawmakers in Peru renew push to oust embattled president". The Washington Post. Retrieved Thursday, March 8, 2018. BBC News. (2018 Feb 20). "Peru's ex-President Fujimori ordered to stand trial again". BBC News. Retrieved Thursday, March 8, 2018. Associated Press. (2009 Sep 30). "Peru sentences ex-president to 6 years". CBC News. Retrieved Friday, March 9, 2018. Navanwita Bora Sachdev. (2018 Feb 26). "Kuczynski's approval rating hits record low". Peru Reports. Retrieved Thursday, March 8, 2018. TeleSur TV. (2018 Mar 7). "Peru: President Kuczynski Faces Impeachment Again". TeleSur TV. Retrieved Thursday, March 8, 2018.